Jane’s situation is very common. We all have too many accounts and devices which require passwords such that keeping track of all these passwords becomes hard. Being in a situation where you can’t remember password for iPad can be annoying since you won’t be able to use the device. You can try all sorts of tricks to try and unlock your device. This article is dedicated to helping people who are in Jane’s situation learn tricks that work. You can remove the iOS device screen lock without the passcode. You can use LockWiper to unlock all kinds of screen locks. These include Face ID/Touch ID and 6-digit/4-digit passwords. 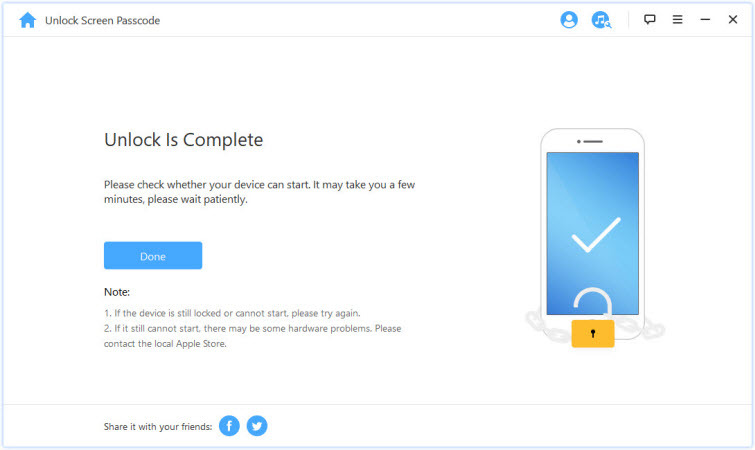 You can also remove Apple ID lock on activated devices without password. 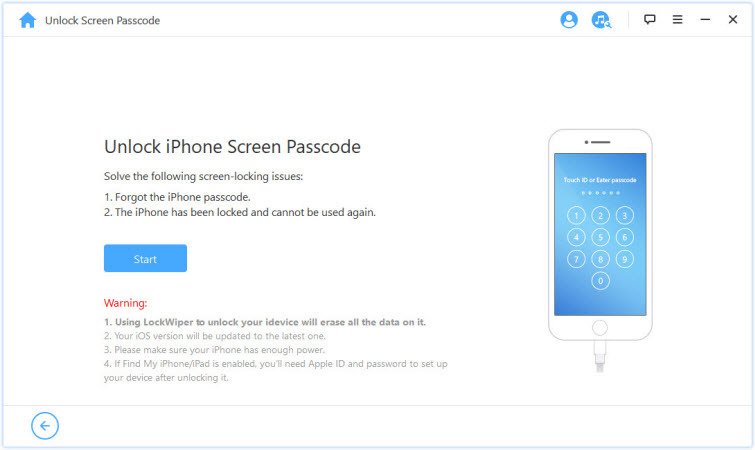 This tool will support disabled, broken screen, or even locked iOS devices. 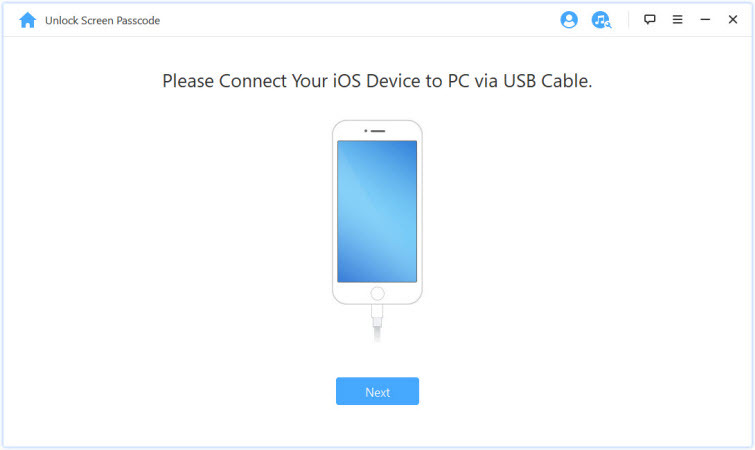 Connect the locked iPad to your computer. Launch LockWiper and then tap Start. Connect your deivce to PC and click Next to wait for it to load the information of your device. 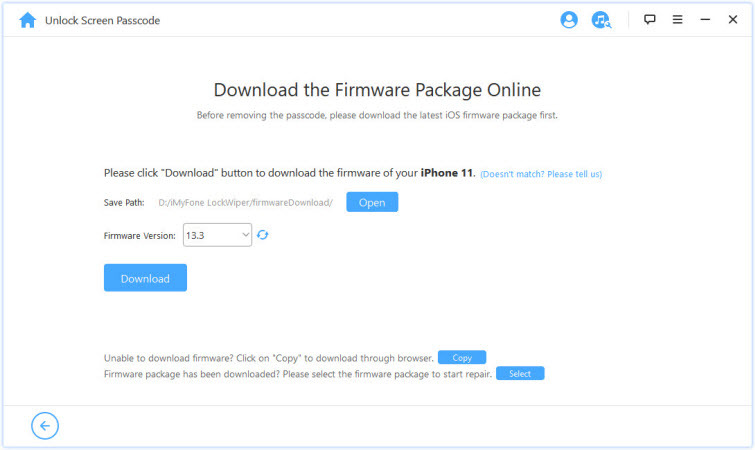 Download the firmware package and verify it. Next, click Start Unlock to initiate unlocking your iPad. Give it a few minutes to finish unlocking your iPad. Connect your iPad to a computer you synced with and open iTunes. Allow iTunes some time for it to sync your device and create a backup. After the sync and backup creation is finished, tap Restore [your device]. Tap Restore from iTunes backup on the Set Up Screen. 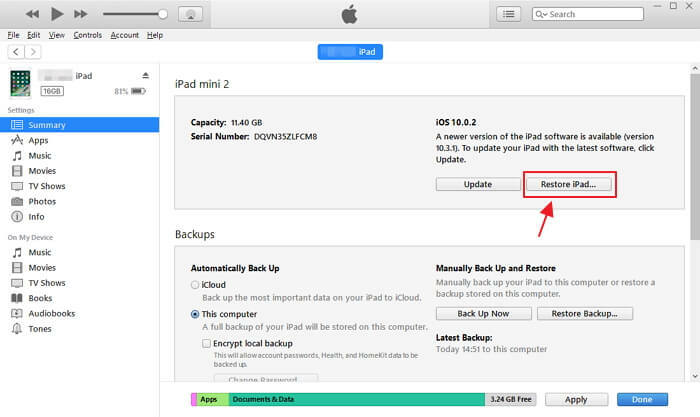 Select your iPad on iTunes and then pick a backup to restore it from. If you can’t remember password for iPad, you don’t have to lose the iPad. This article should help you unlock the device quite easily. Among the listed methods, LockWiper is the best since it does not have any limitations and it works faster. A LockWiper FREE trial version is available.